Combine mango, radish, and champagne mix to combine well. Chiffonade the kale and reserve for garnish. Shuck the oysters and place on crushed ice. 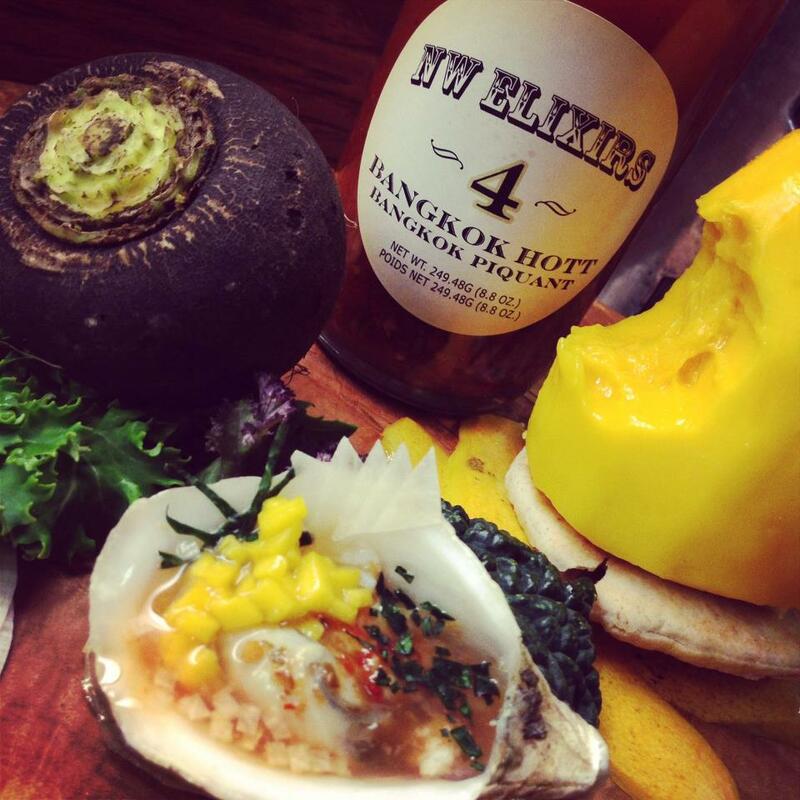 Spoon a teaspoon worth of the mango mixture onto each oyster, then add NW Elixirs Bangkok #4 to taste and garnish with a small amount of kale.